John Davenport from USA-CO. Sumava rivers, August 2015. John visited us for several days during his vacancy in Europe. 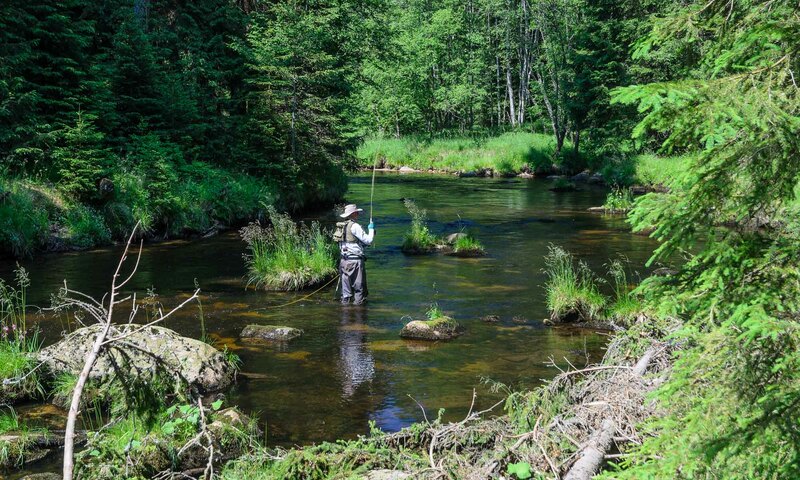 John Davenport is the author of 9 fly fishing titles, conservationist, and has been a lifelong angler having pursued trout in 21 states and 16 countries. The focus of John’s books and blogs are to answers the trout angler’s most pressing questions in a fun and unique way.